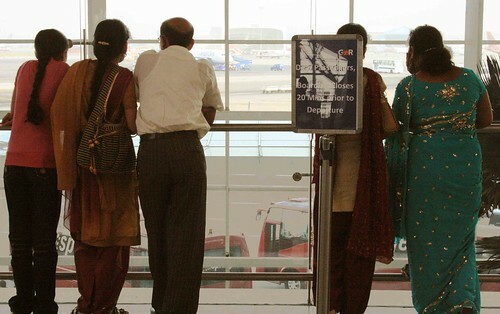 Stop cribbing about the Delhi airport and how it is not world-class, not fit to be the gateway to India’s Capital. The new light-filled domestic departure terminal at the Indira Gandhi International airport is so gleaming that it looks like a mall. “It’s so much better than Bombay’s,” gushed law student Ms Trishna Singh as she sat on a recliner waiting for her flight to Pune. 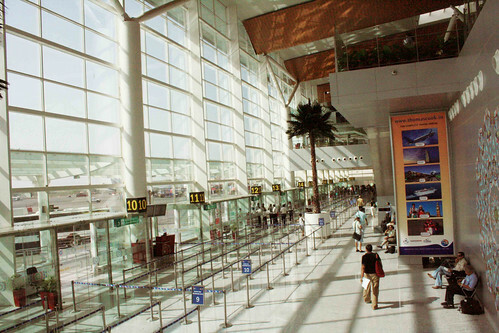 Built in 18 months flat, terminal 1D opened in April, 2009. With a capacity of handling 10 million passengers yearly, shared with terminal 1A, it leaves behind the memories of 1B, the old terminal, as a nightmare best forgotten. No long queues, no chaos here. Even the samosas are less greasy. And there are friction strips on stairs to prevent slipping. Thanks to its large glass panels, the terminal, designed by Hafeez Contractor and built by a consortium led by the Bangalore-based GMR Group, makes full use of natural light. You won’t find even a single bulb on during the day. 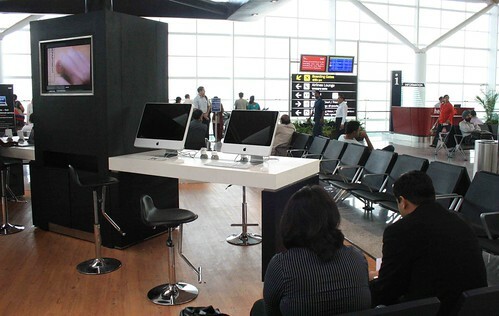 Besides, it has sexier stats: eight check-in gates, eight lifts, 14 pay phones, 14 boarding gates, 14 eateries, 16 retail outlets, 28 security channels, 72 airline counters, 2,000 made-in-Austria chairs and an area spanning 35,000-square metres. And the speedy job has certainly been well done. “Delhi has finally got the airport it deserves,” said Ms Rachna Malhotra, who was browsing in Odyssey, the airport bookstore that can make any south Delhi bookshop feel insecure. Motif notwithstanding, you are more likely to be distracted by glitzy showrooms, 50-inch plasma TV screens, the food court, the kids’ corner and the free wi-fi. Snack options include KFC, Coffee Costa, Pizza Hut and Choko La, while stores like Fabindia, Good Earth, Hidesign let you fill any last-minute packing gaps. At the time of writing this report, a Swarovski showroom was said to be opening soon. “This terminal is delightful but being an air traveller for the past 20 years, I’ve been rather attached to the old one,” said Bangalore-bound Dr VK Mahna. While the modernization may make the airport more impersonal, more characterless, not many would miss 1B. Built to handle 3 million passengers annually, that WWII-era building was struggling with double the passenger traffic. Originally serving as the arrival/departure terminal for both domestic and international flights, its last bit of modernisation had taken place in the 90s. 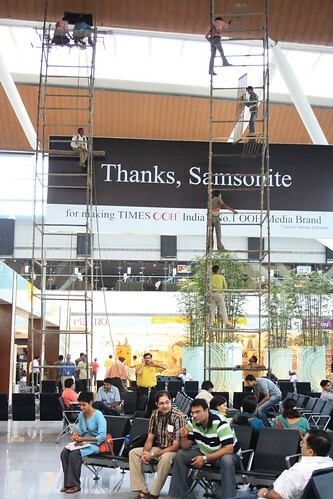 “The new terminal is definitely a vast improvement on the old one,” said Ms Chauhan, despite reservations about the design aesthetics. Will foreigners now stop complaining? 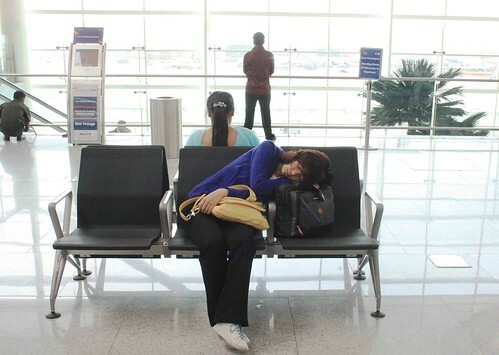 “The terminal’s very pretty,” admitted Ms Sarah Struttman, an American waiting for her Kolkata-bound flight. “But I think it’s too small.” There’s no pleasing everyone. I plan to visit New Dehli on december but I still prefer the old building. 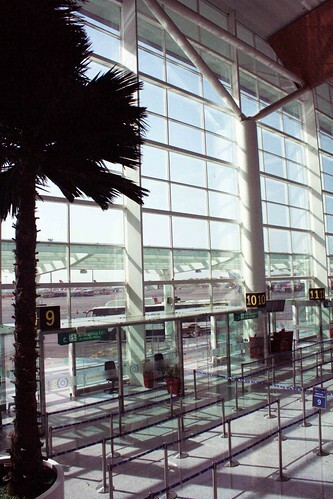 Notalgia value…..
Nice to see the airport – all glass and steel, like a neo-retro-boutique hotel. Very airy. Shall I tell you another landmark to check-out in Delhi ? The Meteorological Office Building on Lodhi road. The monsoon is on time for arrival :), but will it rain enough ? It usually arrives on 28th June. This year, June 29. The monsoon is not my favorite season, but it is a relief from the searing heat of last week. It is the heat that draws the clouds though. Last call for umbrellas, raincoats, doormats……..All aboard! hope this extends to all airports of india. Disgrace was when he Delhi Airport surfaced in the list of top-5 worst International airports i nthe world. i hope the new one is good. it does look chic. very. The airport might be a window to our country for the foreigners, but unfortunately as far as the domestic crowd goes, a negligibly small percentage of the locals are actually in a position to use it. Airports with all their over-priced book shops and prohibitively expensive food joints are a huge turn-off. Hey, have you any idea if it has a waiting lounge for visitors? I know there was one for the executive class but for the general public, is there one?? ?